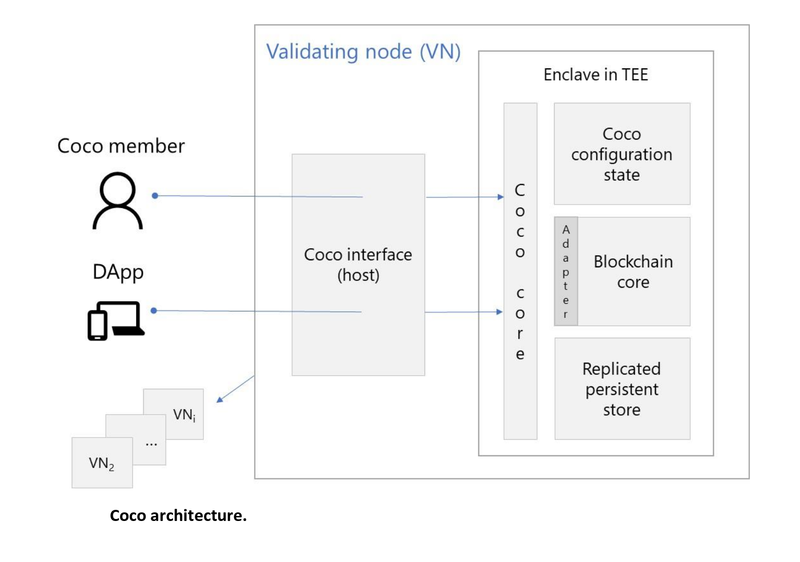 Hoping to make increase adoption of blockchain by enterprises, Microsoft, today announced Coco Framework, an open-source system that reduces complexities around current blockchain protocol technology that requires complicated development techniques to meet the operational and security needs of enterprises. According to an official release, the Coco Framework when integrated with blockchain networks addresses critical needs for commercial adoption like high-transaction speed, distributed governance and confidentiality. Providing these foundational capabilities, Coco Framework opens up more complex, real-world blockchain scenarios across industries — like financial services, supply chain and logistics, healthcare and retail — further proving blockchain’s potential to digitally transform business. “As enterprises look to apply blockchain technology to meet their business needs, they’ve come to realize that many existing blockchain protocols fail to meet key enterprise requirements such as performance, confidentiality, governance, and required processing power. This is because existing systems were designed to function—and to achieve consensus—in public scenarios amongst anonymous, untrusted actors with maximum transparency. Because of this, transactions are posted “in the clear” for all to see, every node in the network executes every transaction, and computationally intensive consensus algorithms must be employed. These safeguards, while necessary to ensure the integrity of public blockchain networks, require tradeoffs in terms of key enterprise requirements such as scalability and confidentiality. Coco Framework combines advanced algorithms and trusted execution environments (TEEs), like Intel’s Software Guard Extensions (SGX) or Windows Virtual Secure Mode (VSM). By design, Coco is open and compatible with any blockchain protocol. Microsoft has already begun integrating Ethereum into Coco and JP Morgan Chase, Intel and R3 have committed to integrating enterprise ledgers, Quorum, Hyperledger Sawtooth and Corda, respectively.